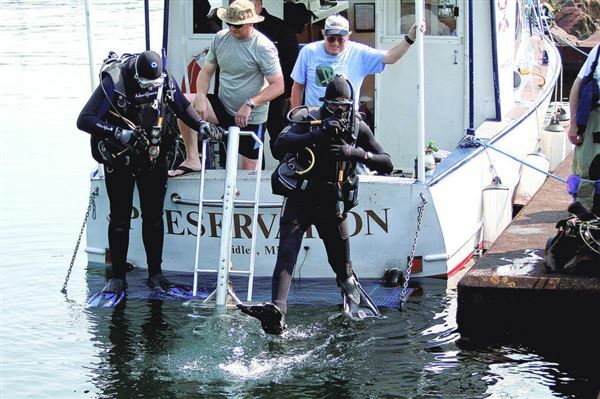 This annual Ely documentation Project is where the GLSPS also invites youth groups such as the Boy Scouts of America (BSA Venture Crew 820) to experience shipwreck diving. For more Details please go to the Events Calendar and find the above date and click on it to bring you to the Event Page of the Project. A slight fee up to a maximum of $25.00 per person ($12.50 per/day) will cover the split expenses for food we provide aboard the RV Preservation. Cost is dependent on number of meals eaten supplied buy GLSPS. We will bring the RV Preservation From Silver Bay to Two Harbors early Saturday morning. Two GLSPS members/divers to assist with bringing the boat down Saturday and back Sunday afternoon. Up to six divers are welcome to stay and or sleep on the Preservation Friday and Saturday evenings. As always schedule is dependent on lake conditions to bring the boat down. We will be meeting divers and support at the Two Harbors boat launch at 10:00 AM Saturday morning. Load equipment and cruise over to the break wall approximately one mile away in Agate Bay. The boat will be tied off next to the S.P. 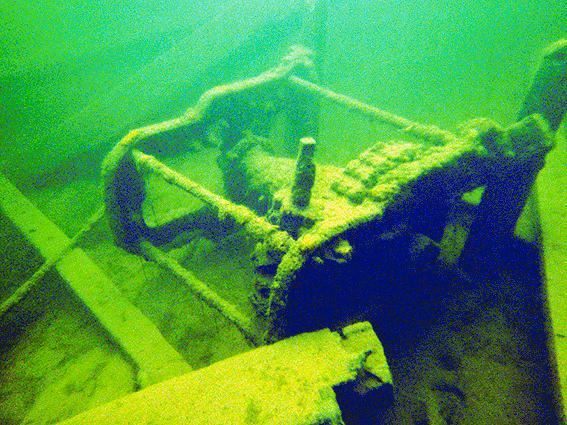 Ely shipwreck. We will be diving most of the day and break for lunch between 12:00 and 1:00 PM, returning to diving when all divers have been feed and all tanks filled or exchanged. The second dive will commence one hour after we have lunch. The youth group will be able to explore the shipwreck (under the supervision of their own DM's and supervisors. 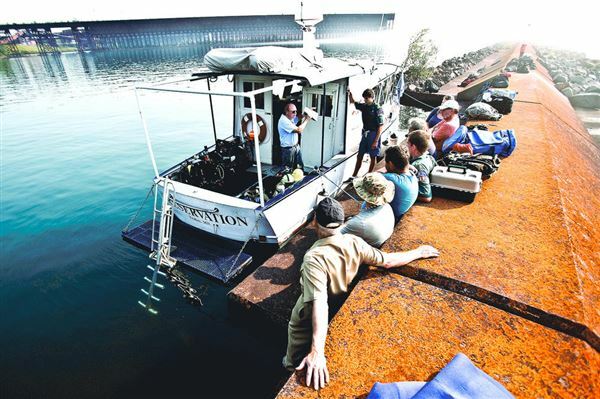 We will be done diving about 4:00 PM and departing from the break wall about 5:00 PM to transport the youth group back to the Two Harbors boat launch / dock to unload dive and other equipment. Sunday is scheduled for GLSPS only. Members are welcome to dive Sunday only if they prefer, with only a small charge for food. ($12.50). We will pick you up at the Two Harbors boat launch dock about 9 am. During the Project, the main GLSPS Members will be documenting the condition of the S.P. Ely and practice their still photo and Video process to help in documenting the shipwreck for deterioration. After the photos and videos are edited and reviewed, a GLSPS President appointed stabilization committee will decide on if and when we will be performing any stabilization on the shipwreck. If you would like to enjoy an easy shipwreck scuba dive and help the GLSPS document the S.P. Ely and help show a youth diver a really cool shipwreck to cultivate a young persons interest and possibly create an interest in preserving maritime history, please register yourself or, contact us to register your youth group of certified divers to join us in a learning experience like no other!! If you are participating in this project, please print, read, sign and turn the form into the GLSPS Representative aboard the RV Preservation. Please do this in advance, preferably at home in order for you to properly read through the entirety of the forms, and to help speed up the process. The boat can't leave the dock until all forms are signed, turned in and reviewed. Thank you for your interest in joining the GLSPS for another great Project. Please Note: The GLSPS has the right to postpone or cancel this project at anytime for any reason. Hope to see you on the this project or a future project.